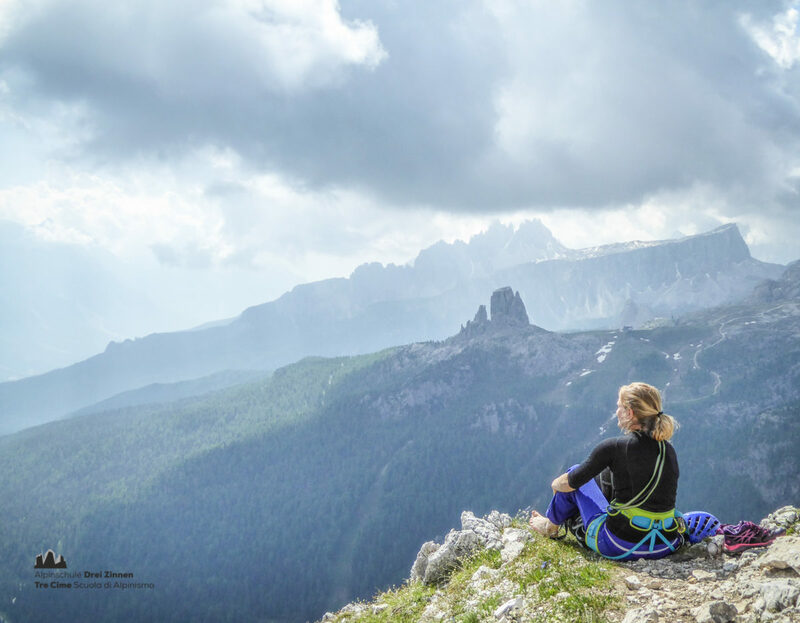 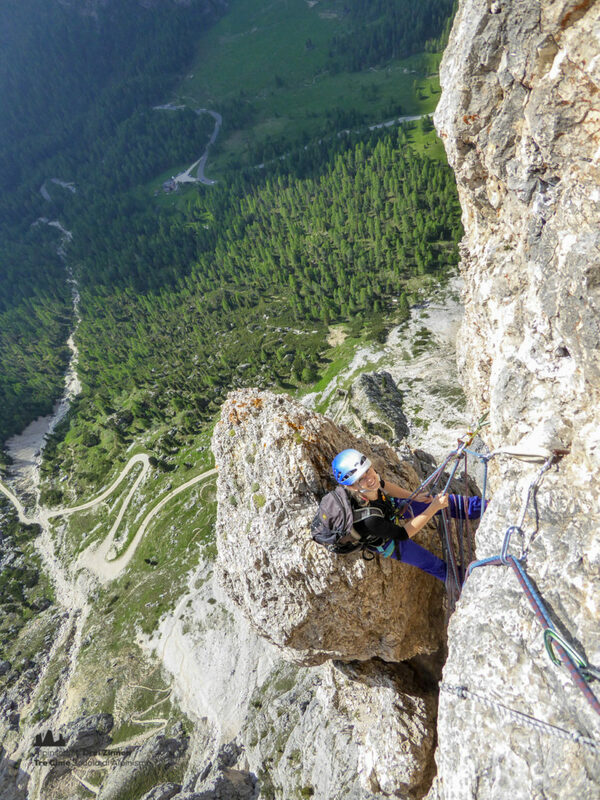 One of the most beautiful routes by master Angelo Dibona runs through the southeast face of the Torre Grande di Falzarego. 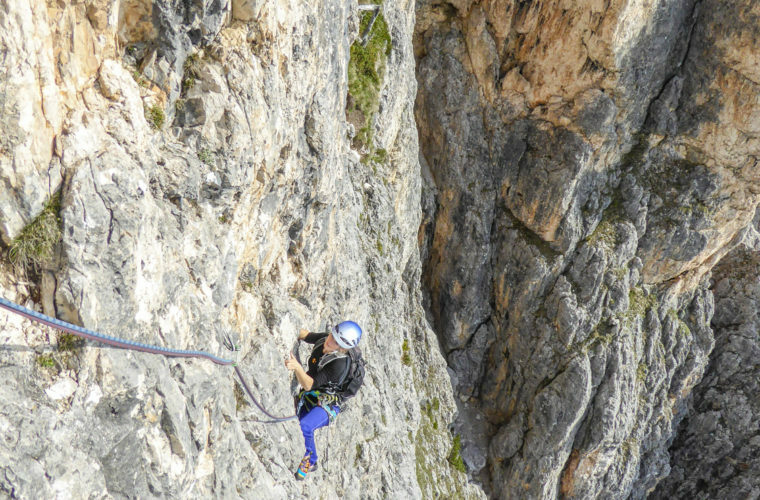 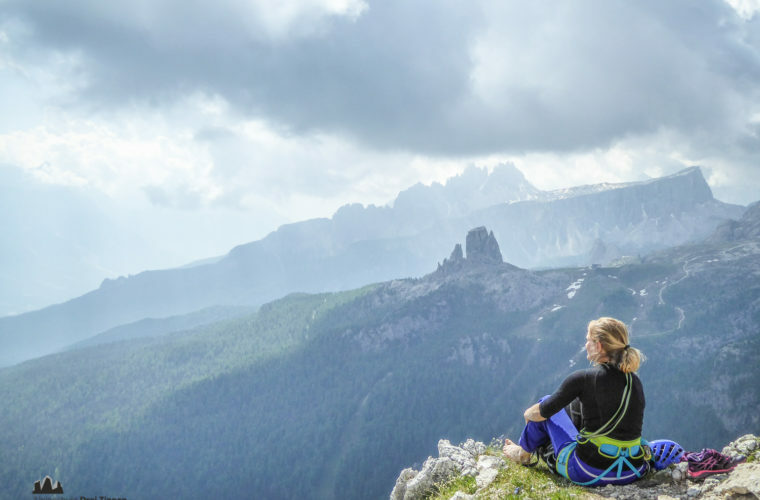 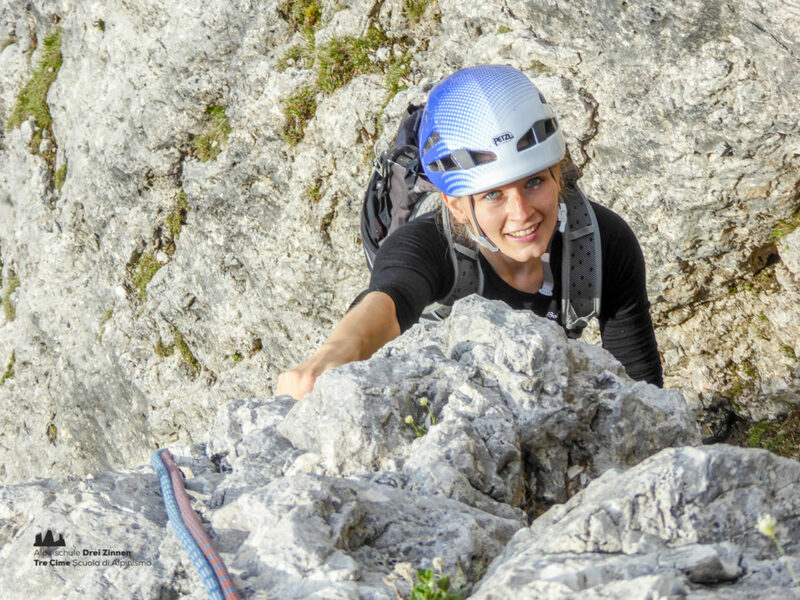 Because of its short access, the sunny exposition and the original climbing sections, this 300 metres long route is one of the great classics of the region. 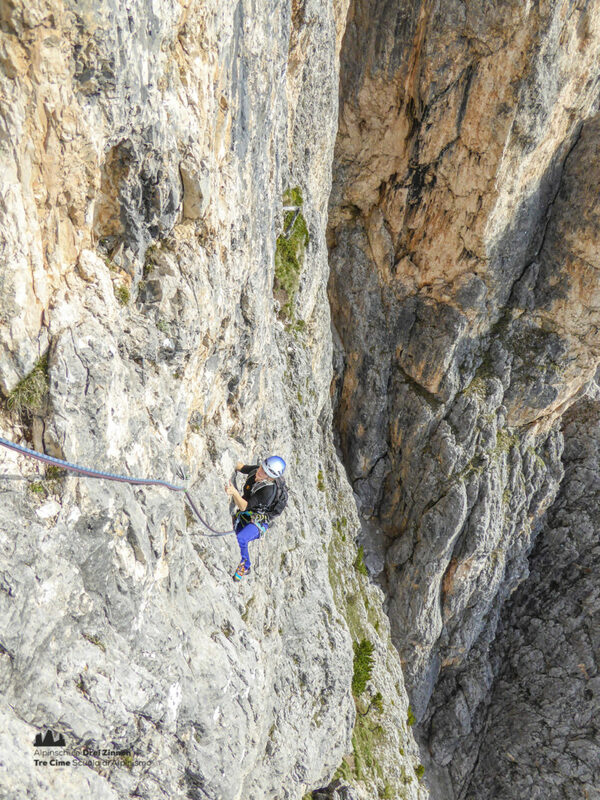 In the lower third of the route you can warm up with some nice slab climbing for the first crux in the horizontal climb. 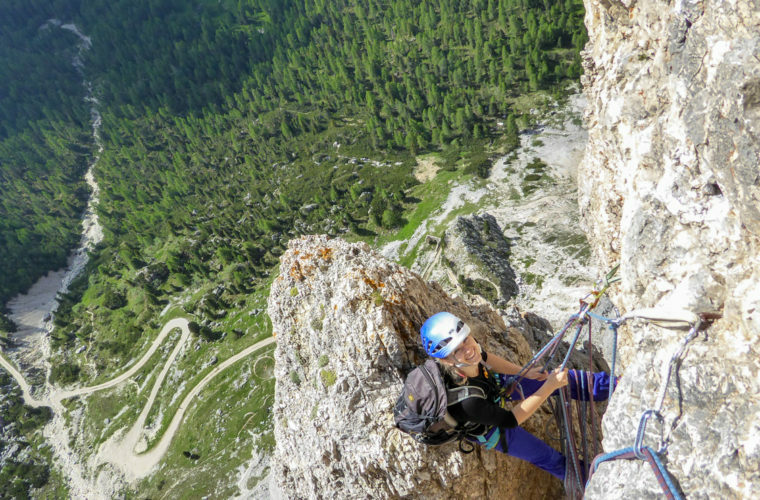 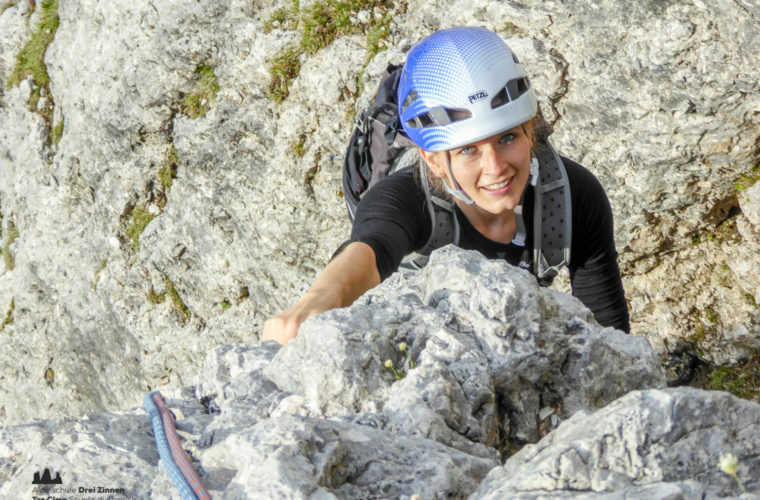 After that, the last two pitches are particularly original: Stem your way through a chimney to a belay station on a flake, from where you continue with the crux of the route (V+).